CONNECTICUT MEDICAL MARIJUANA LAW NOT PREEMPTED BY FEDERAL LAW — WHAT THIS MAY MEAN FOR NEVADA? Earlier this month, a United States District Court Judge in Connecticut ruled, among other things, that federal law did not preempt enforcement of Connecticut law prohibiting employers from firing or refusing to hire someone who uses marijuana for medicinal purposes. While the decision in Noffsinger v. SSC Niantic Operating Company LLC did not address the substance of the claims filed under Connectivut’s medical mariajuana law (it only addressed whether the claims should be thrown out for being in conflict with federal law), the analysis done by the district court judge may hold some clues as to how a case filed under Nevada’s medical marijuana law might be analyzed. Connecticut, like Nevada, has enacted state law, which permits the use of medical marijuana for qualifying patients with certain debilitating medical conditions, known as the Palliative Use of Marijuana Act (PUMA), Conn. Gen. Stat. § 21a-408 et seq. PUMA exempts qualifying patients, their caregivers, and prescribing doctors from state criminal penalties that would otherwise apply to those who use or distribute marijuana. Nevada has similar provisions in its medical marijuana laws. In addition, PUMA includes a provision that explicitly prohibits discrimination against qualifying patients and primary caregivers by schools, landlords, and employers. In 2012, Katelin Noffsinger was diagnosed with post-traumatic stress disorder (PTSD). Several years later, in 2015, Noffsinger’s physicians recommended medical marijuana as a treatment for her PTSD. After following the appropriate steps to obtain a valid registration certificate, Noffsinger began taking one capsule of Marinol, a synthetic form of marijuana, each night as recommended by her physicians. During this time, Noffsinger was employed as a recreation therapist at a long-term care and rehabilitation facility. In July 2016, Noffsinger was recruited by a nursing facility for a position as a director of recreational therapy. Noffsinger interviewed and was offered the position; her first day of employment was scheduled for August 3. Prior to beginning work, Noffsinger met with her new employer to complete paperwork and a routine pre-employment drug screen. During this meeting, Noffsinger disclosed her PTSD and explained that she was taking marijuana as recommended by her physician to treat the disability. She provided her registration certification and explained that she only took medical marijuana in the evening before bed and was not impaired at work. Her new employer did not respond this disclosure. Noffsinger was provided a packet of additional documents and told to complete them before returning for orientation on her first day of work, August 3. The day before Noffsinger was scheduled to begin work, the results of the pre-employment drug screen came back with a positive result for cannabis. Her new employer contacted her to inform her they were rescinding the job offer because Noffsinger had tested positive for marijuana. Noffsinger was unable to return to her former employer, who had already filled her position. Noffsinger brought suit against her would-be employer alleging (1) violation of PUMA’s anti-discrimination provision, (2) wrongful rescission of a job offer in violation of public policy, and (3) negligent infliction of emotional distress. In this case, the judge looked at three federal laws to determine if any of them preempted Noffsinger’s state law claims: the Controlled Substances Act (CSA), the American with Disabilities Act (ADA), and the Food, Drug, and Cosmetic Act (FDCA). Noffsinger’s would-be employer argued that each of these federal laws invalidated PUMA because the state law stands as an obstacle to the accomplishment and execution of the full purposes and objective of Congress through federal law. CSA makes it a federal crime to use, possess, or distribute marijuana, a Schedule I substance. The main objectives of CSA were to conquer drug abuse and to control the legitimate and illegitimate traffic in controlled substances. There is no exception for medicinal use of marijuana in the CSA. Nevertheless, as the judge points out, the CSA does not make it illegal to employ a marijuana user nor does it purport of regulate employment practices in any manner. In fact, employment is an area where states have broad authority to regulate. Therefore, it is not a conflict or at all unusual for a state to provide explicit employment protections — even for medical marijuana use. Therefore, the CSA does not preempt the anti-discrimination provision in PUMA. The ADA protects that rights of persons with disabilities to be free from discrimination, including discrimination in the employment context. 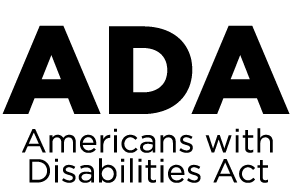 The ADA defines disability rather broadly to include a physical or mental impairment that substantially limits one or more major life activities, a record of such impairment, or being regarded as having such impairment. As the judge points out, while the ADA explicitly provides that an employer may prohibit the illegal use of drugs and the use of alcohol at the workplace by all employees, but does not go further to provide that an employer may prohibit an employee from the illegal use of drugs outside of the workplace is a strong indicator that the ADA did not intend to regulate non-workplace activity. Further, the ADA does not explicitly preclude states from doing so or preclude state from prohibiting employers from taking adverse actions against employees who use illegal drugs outside the workplace and do not affect job performance. The use, dispensing , and licensing of medical marijuana, which is permitted by PUMA, has not been approved by the federal Food and Drug Administration, which according to Noffsinger’s would-be employer means the anti-discrimination provision of PUMA is in conflict and preempted by FDCA. Like with the CSA, FDCA does not purport to regulate employment and the focus of this analysis is whether the anti-discrimination provision in an employment context is preempted by federal law. The judge ruled, like with CSA, it is not. In the end, the judge ruled that Noffsinger’s complaint against SSC Niantic Operating Company LLC would move forward, in part. Noffsinger’s claims under Connecticut’s anti-discrimination provisions of PUMA would be allowed to continue and be tried in a court of law. This is a case that employers and HR professionals should watch closely as it may provide some guidance as to where the courts leaning when it comes to medical marijuana. WHAT DOES THIS MEAN FOR NEVADA? Similar to Connecticut, Nevada’s medical marijuana law provides for certain employment protections for lawful users, including the availability of reasonable accommodations in the workplace. That makes Nevada’s medical marijuana law a little bit different from the medical marijuana laws in Colorado, Oregon, and California, which do not; all of which had cases that have come out in favor of employers. Does that mean that a case brought in Nevada would come out in favor of the employee? No, not necessarily. However, a case like this gives employers in Nevada a glimpse of how the courts are tackling these difficult issues. It is important not to rely on the decision in one court case or the fact that marijuana is illegal under federal law. Neither may shield you from liability for decisions made related to medical marijuana use in Nevada. Nevada is still waiting for our state courts to issue a decision on this issue. Once that occurs, employers will have more clear guidance on how to proceed. Until then, employers must be aware of all decisions addressing this issue to make an informed decision on how to address medical marijuana in their policies and procedures. Nevada Association of Employers (NAE) understands this is a difficult issue for employers. That is why NAE has drafted a sample drug policy specifically addressing marijuana use. Members of NAE can download a copy of our sample policy from the Member Portal on our website.